The Arts continue to be cut from school curriculums across the nation. Despite arts advocacy groups’ efforts to prevent the decline of arts inclusion, the budgetary solution remains to be that the arts are perceived as extra-curricular and disposable. My blog First on Line with Fran will offer opportunities for you to join me in discussions on how ordinary people are doing extraordinary things in The Arts to make our world a richer, deeper, better place to live. We know there’s a drama, art, music, dance, classroom teacher who changed your life. Every educator knows that within EACH and EVERY child lies an artistic soul waiting to be sparked; it makes no difference where they’re from or what their economic status. The Arts Rejuvenate. The Arts Restore. The Arts are our supernatural gift. Send me your testimonial: How your third grade teacher taught you to write your first play, finger paint your fears away on an oily white sheet of paper, dance to the beat of your own drum, strum, blow, sing the lyrics that express your point of view. Move an audience so deeply that they all get goose bumps! (Wagner, Search For Signs of Intelligent Life). Click here to submit a testimonial. Arrange an interview with Fran: I am scheduling appointments with people who are getting the job done. 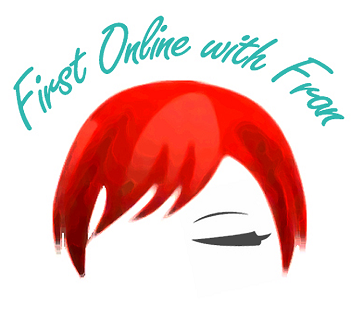 I am interested in the work you are doing and would like to feature you and/or your organization on First on Line with Fran. Tell that teacher, arts organization, teaching artist who made a difference and have them talk about their efforts to keep the arts alive and relevant. We can talk about goals and objectives and the obstacles you confront either as an individual and/or as an organization. I am particularly interested in your personal commentary and why you have chosen to pursue this cause. Click here to arrange an interview. Keep the arts as a cultural investment because the National Endowment for the Arts conducted a federally funded research that showed $278 billion in economic activity was spun off by the arts in 2009. If you would like to join me, then be sure to contact me with your ideas. You never know…small packages can surprise you!